Pets are the leading cause of false alarms, but there are ways to make it work. 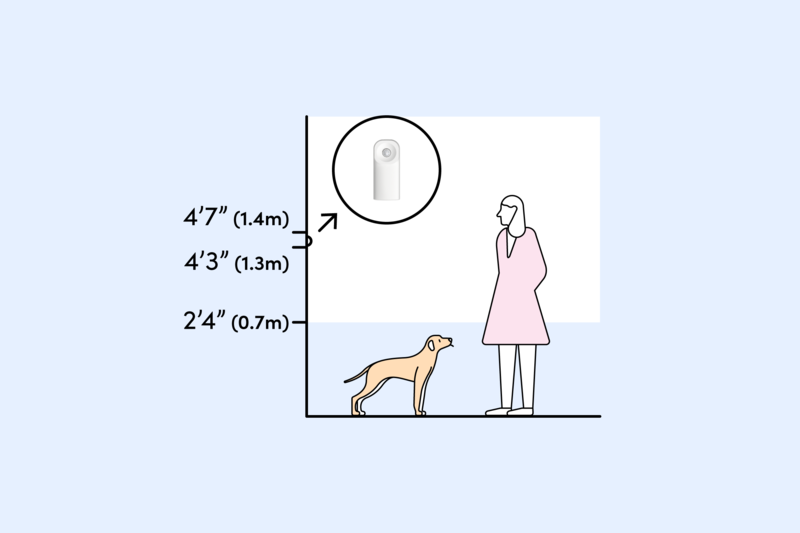 If you have a dog or cat, flip your sensor when you mount it so that the sensor dome is on top (dome-side up). Place it so that it will not directly face any tables, counters, furniture or climbing toys your animals frequents. If you have a caged animal, they shouldn’t affect the sensor. Just do not place the sensor directly facing their cages, or nearby any heated cages. If you have a fish that roams your house and jumps on your couch, you probably don’t have a fish, and you should call animal control. Get a different pet. Ferrets are weird. Get a kangaroo.